Balancing It - Template 2 Some steps to follow and sample practice plans for when you want to work on your technique for the long term. 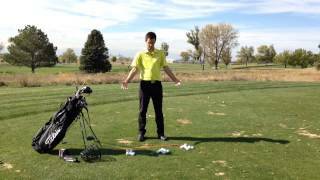 Golf Swing Decoder The Golf Swing Decoder is the simplest way to figure out your swings current pattern. All it takes is 30 golf balls and a half hour at the range.